Mostly I go along with that review mostly, even though I was a little disappointed that the eggs were so large. It wasnt a deal breaker, but I would have preferred them to be smaller. Since I bought the Dark Art eggs I have picked up a few alien eggs from Scotia Grendel. I *think* but I may be wrong, that they were originally intended for use in the Kryomek game. 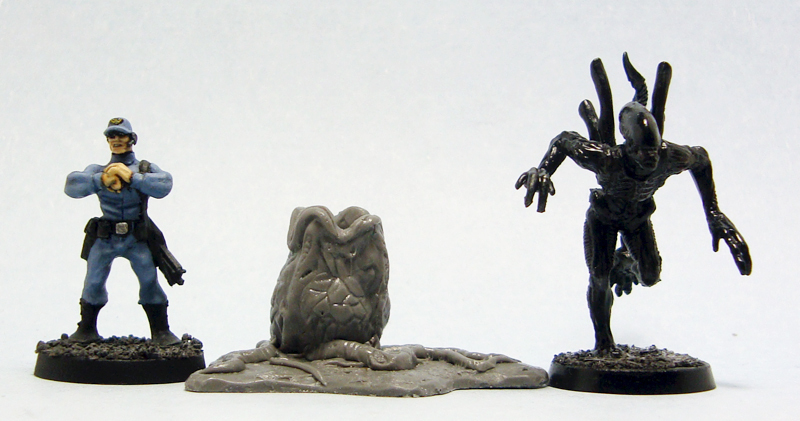 Unfortunately Scotia Grendel havent got around to putting a photo of them up yet and I havent painted mine either, so you will have to take my word for it that they are at least as suitable for 28mm as the Dark Art eggs. 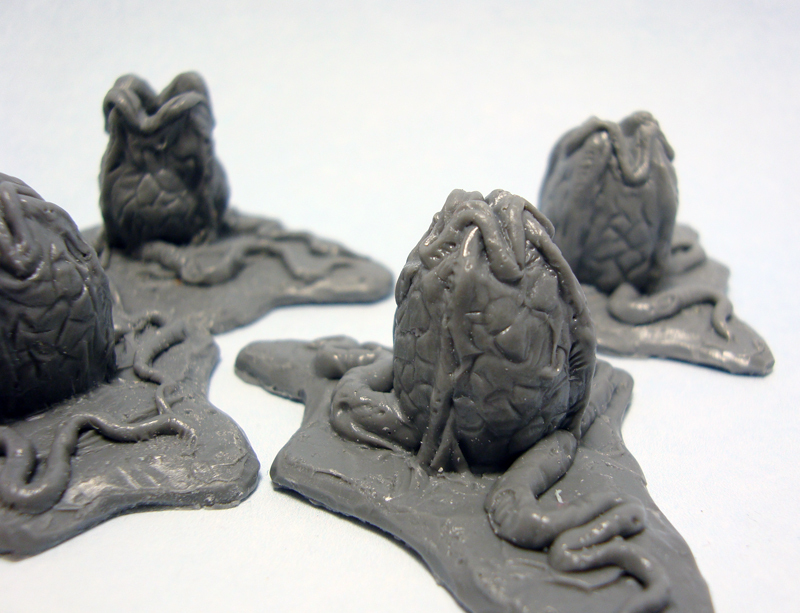 Scotia Grendel also make a little Alien Hive set that I picked up that features a nice little clutch of Alien eggs. They are probably the most accurate of the bunch in terms of their size and movie likeness. They come with a wall section that features some captured colonists which I intend to use for the Cleanse and Burn (I think that that is what it is called) Space Hulk scenario. I’ve been looking at the Grendel stuff for a while now, and I’ve been thinking of getting some. Your recommendations just might tip the scales in their favour.